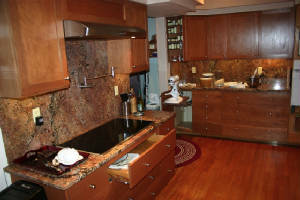 The top picture shows the pantry, refrigerator/Freezer, wine cooler room. 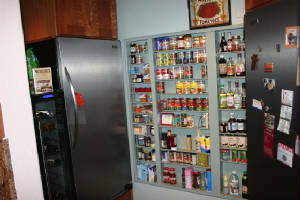 The pantry uses the wall stud space for storage. This allows for easy viewing of product labels. These features combined to provide a very functional work area.